Welcome to the official site of the North Alabama Auburn Club. The North Alabama Auburn Club is an officially chartered group of Auburn Alumni and Friends of Limestone, Lawrence & Morgan Counties. We hope to use this website to keep Auburn Alumni in North Alabama up to date on everything going on in our club. Please check back often for more information. General admission tickets are $50 for adults and $20 for children ages 12 and under. The adult ticket includes a $5 gift that will be donated to the North Alabama Auburn Club’s scholarship (gift amount is non-refundable). Join us for the 2017 Recruiting Roundup, Monday night at The Brick! Visit Huntsville Auburn Club to buy tickets today! 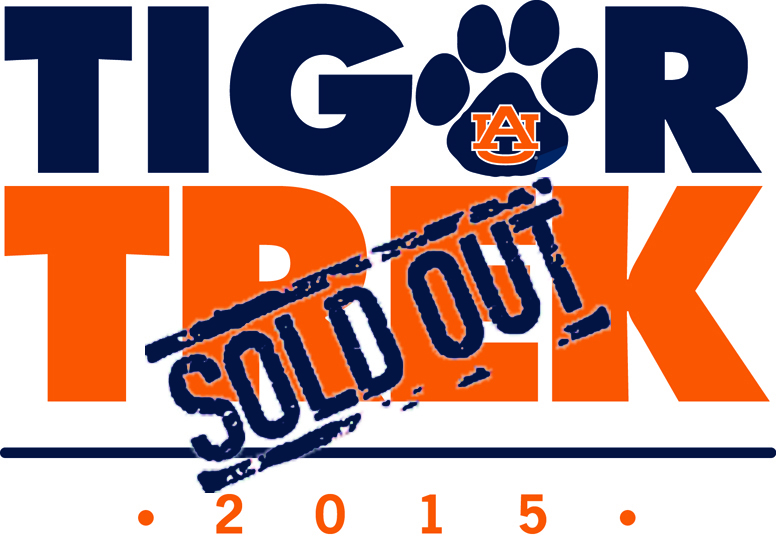 Let’s help sell out another great Tiger Trek event. War Eagle!!! For all of those interested in attending the 2015 homecoming game we have been provided a special rate on our tickets this year! To secure you seats for only $25 please go online now to www.aubtix.com and enter the promotional code AU-CLUBS or follow the step by step process listed below. 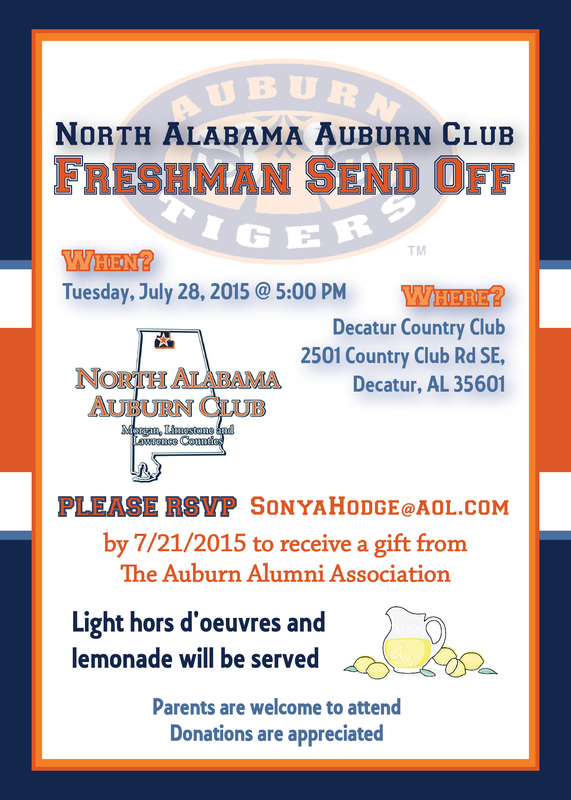 There are only a handful of seats available, and this promo code will be sent out to all Auburn Clubs. For assistance or additional ticket questions please contact Chris Curtis at 334-844-8660 or chris.curtis@auburn.edu. 5) Click on available section that you would like to sit in. Available sections will be in blue. 6) Select the open seats in your section. Open seats will be green. 8) If you have an account, please sign in to proceed. If you do not, please create one by clicking on the register button located in the not yet registered box. We hope you will join us for our Freshman Send off at Decatur Country Club, all incoming freshmen and parents are invited. 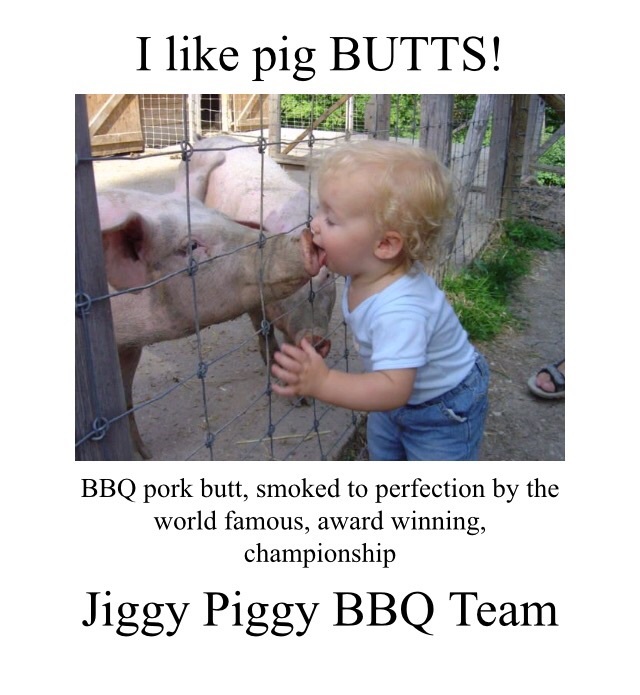 Please pass this on and we hope to see you July 28th! WAR EAGLE!!! 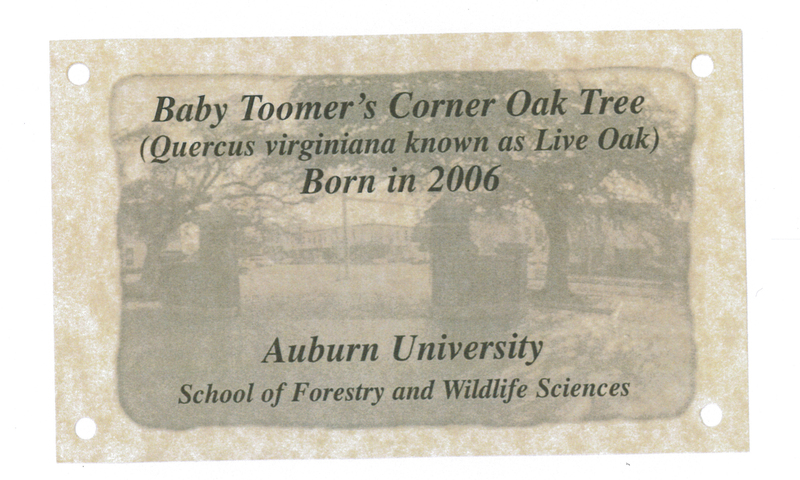 Baby Toomer’s Corner Oak Tree that is 9 years old and is about 12’-14’ tall. This is going got be a top item at our Tiger Trek Auction. 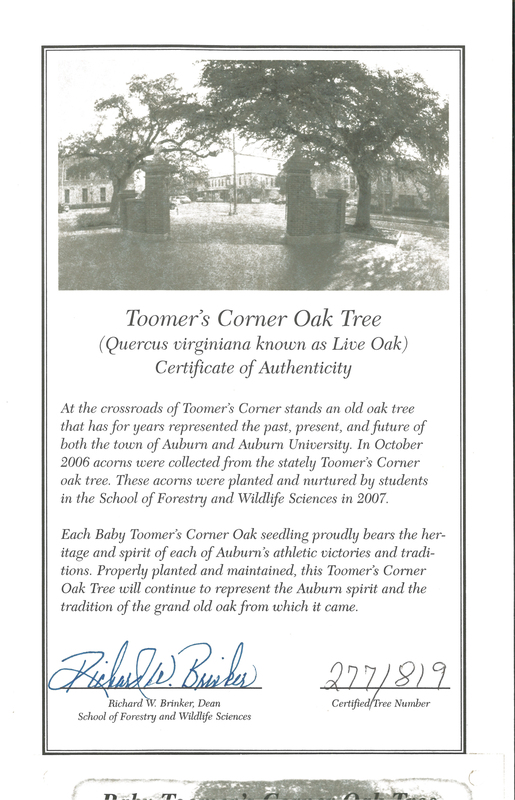 A real Toomer’s tree, tree removal from current location to the location of your choice and necessary landscaping needed to put it in place. 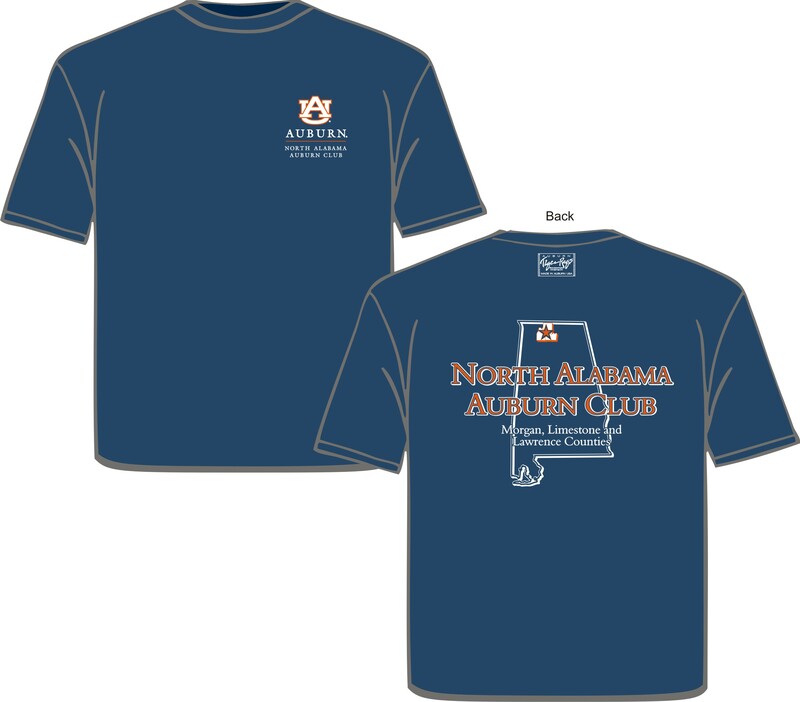 We will be selling North Alabama Auburn Club t-shirts at Tiger Trek. Shirts are available in navy as shown and a soft gray for $20. If there are any cancellations, we will notify those at the top of the list as soon as we know something. Thank you for your generous support of this event. War Eagle! We are so excited about our silent auction for Tiger Trek. We will be sharing items online and on Facebook. If you have a business or know a business that might be interested in donating to our auction please contact Andrew Hart at andrew_c_hart@hotmail.com. For now here are a few items for you to see. 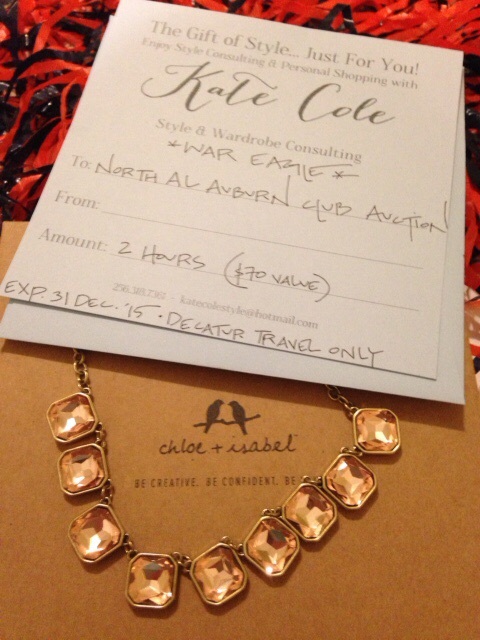 Fashion consult from the amazing Kate Cole and a beautiful piece from Chloe & Isabel, from consultant Libby Brit of Decatur. 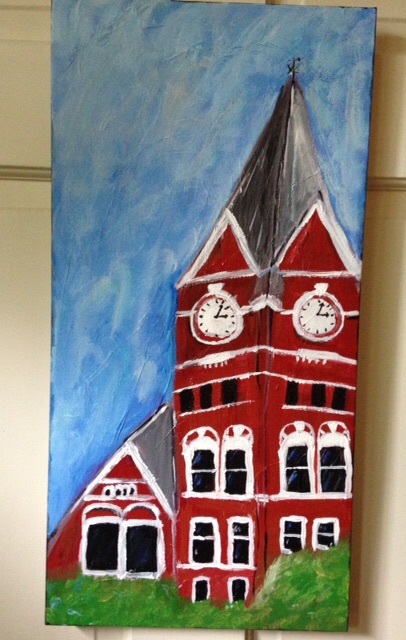 A number of art pieces, a Toomer’s Tree and much much more. More updates to come. 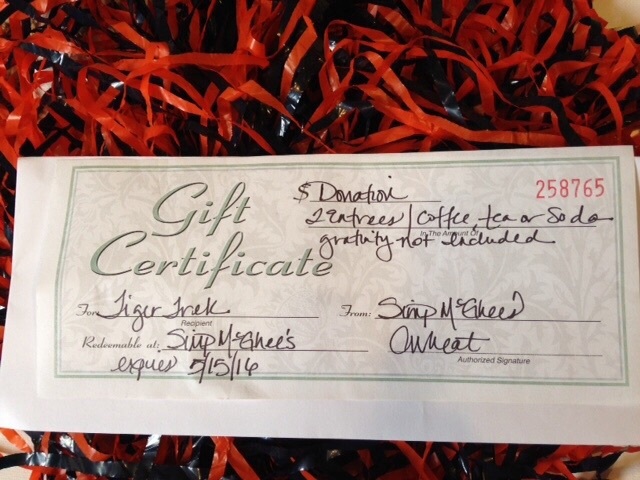 All proceeds to benefit North Alabama Auburn Club Scholarships. WAR EAGLE!! !